Iranian-born biologist Pardis Sabeti (center) shared this photo on Facebook of the Iranian students who work in her lab at Harvard's FAS Center for Systems Biology. The post reads: "They work hard to make the world better & make me smile. We welcome you to meet us, & come have some chai #proudtobepersian love my #shahsofcambridge." Dr. Saif Muhsin started thinking about Canada after President Donald Trump issued an executive order Jan. 27 barring people from seven Muslim-majority countries, including Muhsin's native Iraq, from entering the U.S. for 90 days. Muhsin, 34, is halfway through a four-year nephrology fellowship in Boston in a joint program of Massachusetts General Hospital and Brigham and Women's Hospital. He sees patients and works in the lab of Sylvie Breton, a Canadian-born cell biologist, who has made recent breakthroughs in acute kidney injury. Muhsin plans to continue both medicine and research after he finishes his fellowship. The travel ban is casting a pall of uncertainty over Dr. Saif Muhsin's future as well as the medical and scientific community in the U.S., which depends heavily on immigrant and foreign-born students, researchers, and faculty. Physician and scientists say Trump's travel restrictions targeting seven Muslim-majority countries could undermine the flow of immigrants the U.S. relies on to fill vital positions and maintain its edge in biomedical innovation. But the travel ban—which the Homeland Security Department says applies to people from Iran, Iraq, Libya, Syria, Yemen, Somalia and Sudan—is casting a pall of uncertainty over not just Muhsin's future but also that of the medical and scientific community in the U.S., which depends heavily on immigrant and foreign-born students, researchers and faculty. The community is reeling over the order, fearing that it will have devastating repercussions for research and advances in science and medicine. It has also caused short-term confusion and chaos for businesses that recruit and bring in thousands of non-U.S. citizens for work in these specialized fields. Adding to the confusion is this past weekend's legal debate over the travel ban. On Friday, a federal district court in Seattle blocked the ban. The U.S. Justice Department's appeal to immediately restore the ban was rejected Sunday. The Trump administration now must reply by the end of the day. Although the sudden travel restrictions sparked protests at airports across the country, immigration officials have suggested they might expand the scope of the restrictions by extending them beyond 90 days or by adding more countries to the list. That possibility raises questions about what a more permanent ban would mean for the healthcare industry, whose heavy dependence on an immigrant workforce is expected to increase in the coming years. The ban is already keeping healthcare professionals out. A Chicago physician, Dr. Amer Al Homssi, who is a dual citizen of Syria and the United Arab Emirates, was barred from boarding a plane in the UAE to return to the U.S. He filed suit and reportedly will be allowed to return because a judge determined the ban did not apply to him in the first place. Few U.S. industries have benefited more from immigration than healthcare, where foreign-born individuals accounted for 16% of its more than 14 million workers in 2015, according to figures provided by the Institute for Immigration Research at George Masony. More than 60,000 were from the seven countries targeted by Trump's order. More than 11,000 of those are not U.S. citizens. 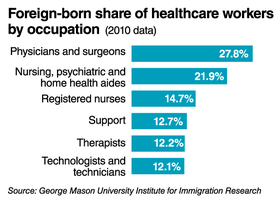 Foreign-born workers make up 28% of the country's physicians and surgeons, more than half of medical scientists in the biotechnology sector, 22% of nursing, psychiatric and home health aides, and 15% of all registered nurses, according to a 2016 report by the institute. The U.S. also needs these immigrants to fill gaps in healthcare services and as a result has admitted immigrant healthcare professionals through a variety of avenues. Many have used the U.S. State Department's H-1B Temporary Visitor and J-1 Exchange Visitor visa programs, which permit foreign healthcare professionals to work in federally designated shortage areas. And many medical graduates who complete their medical education in the U.S. under a J-1 visa get a waiver that allows them to remain in the country to work. About 78% of international medical graduates are involved in direct patient care, according to the George Mason researchers. Foreign-born physicians often fill a primary-care role that has been less frequently taken up by U.S.-born medical graduates, who increasingly opt to practice in more lucrative specialties. Forty-six percent of the physicians with a J-1 visa practice in internal medicine, compared with just 15% of U.S.-born medical graduates. International medical graduates are also more likely than their U.S.-born counterparts to work in medically underserved communities. If tougher, indiscriminate immigration policies drive foreign-born medical graduates and researchers to seek opportunities outside the U.S., those policies could hurt the country's capacity to meet rising demand for healthcare services expected in the coming years as the elderly population increases. A 2016 AAMC report projected that by 2025 the physician shortfall will exceed 90,000. Even though the number of medical schools in the U.S. has increased since 2002, the increase in U.S. medical graduates they have produced has not been sufficient to fill available residency slots. During the 2014-15 academic school year, there were 22% more residency positions available than could be filled by graduates from U.S. medical schools, according to Merritt Hawkins, a medical staffing agency. “The shortage of physicians is acute, especially in primary care, and eliminating 25% of the available pool of candidates obviously makes a difficult situation even more difficult,” said Jim Stone, president of the Medicus Firm, another physician-staffing agency. Foreign-born scientists, engineers and doctors in the U.S. contribute significantly and in some cases disproportionately to medicine and scientific research. Across the country's top seven cancer research centers, 42% of researchers were foreign born, the National Foundation for American Policy found in a 2013 study. In New York City, 46% of medical professionals were foreign born, the city's comptroller reported in January. At the 10 universities that earned the most patents in 2011, nearly 8 out 10 patents for pharmaceutical drugs or drug compounds had a foreign-born inventor. Immigrants also played a role in three-quarters of molecular and microbiology patents, according to a 2012 study by Partnership for a New American Economy. The ban's effects may reach far beyond the seven countries named in Trump's executive order. It could cause scientists and future scientists to decide to go to other countries instead of the U.S. to study and research. It also inhibits the flow of ideas if people cannot travel and attend conferences in their fields. Scientists who come to the U.S. to study and do research uproot their lives to do so. Knowing that they will land in a welcoming community is vital to that decision, several scientists who are naturalized U.S. citizens said. Trump's travel ban sends a message of hostility that could make foreign students and scientists reconsider coming to the U.S., if they aren't already. Prakash, A MacArthur Fellow, developed a folding paper microscope and a human-powered centrifuge. The microscope costs less than $1 to manufacture. His lab has distributed them to more than 50,000 people in 135 countries for use in research and education. When foreign students and scientists come to the U.S., the benefit is mutual. Peter Walter, a professor of biochemistry and biophysics who runs the Walter Lab at the University of California, San Francisco, recalled “eye-opening” freedom and engagement and ongoing research in the U.S. when he left his native Germany more than 30 years ago. “As a young unknown student, I was just thrown into exploring the unknown,” he said. Today, Walter's research explores the fundamentals of how cells work. His lab has discovered mechanisms and pathways that could be used as a weapon against cancerous cells, and the team is collaborating with biotech companies Genentech and Calico to develop small molecules—precursors to drugs—targeting a variety of cancers and neurodegenerative diseases. These laboratories and the research they carry out depend heavily on foreign students, researchers and faculty. 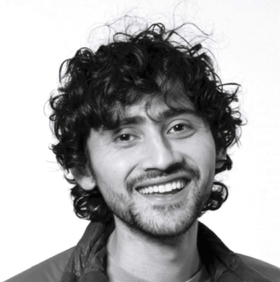 Manu Prakash, a Stanford bioengineer, described scientific education as a delicate ecosystem. He and other scientists worry that Trump's order, while limited in scope, could destroy that balance, cultivated over decades. That breakdown is typical. Walter said about half the 15 students, postdocs and junior faculty who run his lab are foreign. None are from the countries named in Trump's order, but others from adjacent labs are—and the ban has direct implications for their work. “If their visa status is threatened, all their work comes to a halt,” he said. Poznansky said that over the past decade, his laboratory and center has employed and trained 140 scientists, and 55% were either on visas or were naturalized citizens. They came from the U.K., China, India, Singapore, Iran, Israel, Dubai, Egypt and elsewhere. The Sabeti Lab, part of the FAS Center for Systems Biology at Harvard University and headed by Iranian-born Pardis Sabeti, has five other scientists from Iran or of Iranian descent. For now, Muhsin will remain in the U.S. If he leaves the country, he will be unable to re-enter under the current ban. His wife has canceled her plans to visit her family in Iraq in the spring. Breton's lab, where Muhsin is a fellow, recently discovered a biomarker that can predict the onset of acute kidney injury, which kills 300,000 people a year, and they are working on a small molecule that could someday be developed into a drug to treat it. The Trump administration has suggested it might extend the ban indefinitely for the countries on the list, as well as expand it to include Pakistan, which produces the second-largest share of international medical graduates who come to the U.S., after India. 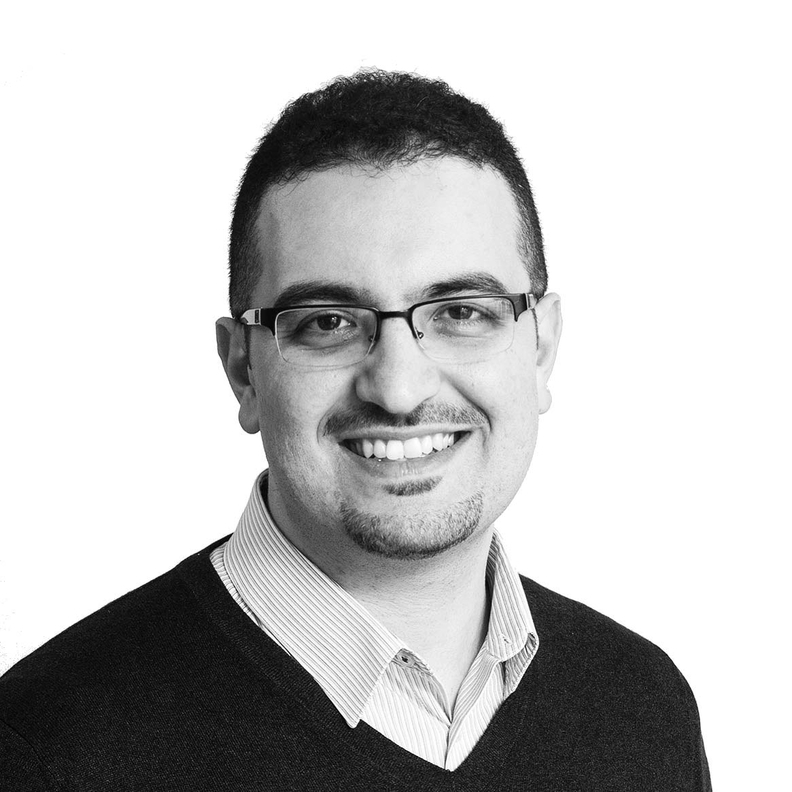 Dr. Alexi Nazem, a practicing internal medicine specialist who's also CEO of New York-based Nomad Health, a tech startup that provides an online platform for hospitals to address temporary health staffing needs. Nazem's family emigrated from Iran to the U.S. in the 1960s. He said Trump's immigration policies threaten to alienate the very people that the U.S. has sought to attract through its worker visa programs for decades.